Evans sues Police again, demands N1bn over sealed Lagos property – Royal Times of Nigeria. 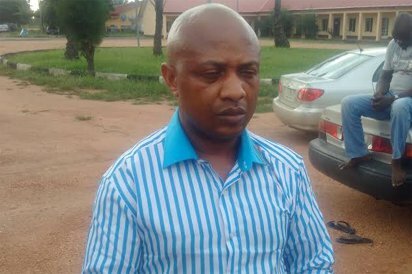 Alleged kidnap kingpin, Chukwudumeme Onwuamadike, popularly known as Evans, on Tuesday, filed a fresh suit at a Federal High Court in Lagos, seeking N1 billion damages against the Police over alleged unlawful sealing of his property in Lagos. Some of the houses are located in Magodo Estate. The suit, filed by his lawyer, Mr. Olukoya Ogungbeje, has sued the Inspector General of Police, Nigeria Police, Inspector General of Police, Intelligence Response Team, (IRT), ACP Abba Kyari and DSP Phillip Rieninwa as respondents. The applicant is seeking a declaration that the forceful seizure, confiscation, and sealing of his property by the respondents without any court order is illegal, wrongful and unconstitutional. He wants an order compelling the respondents jointly and severally to immediately and unconditionally release the properties as listed in the motion papers. In addition, he is asking the court for an order compelling the respondents to immediately and unconditionally unseal and vacate the applicants two residential houses located in a highbrow area of Magodo in Lagos. Other reliefs are an order compelling the respondents to severally and jointly tender an apology to the applicant and to pay him the sum of N1 billion being general and exemplary damages for the alleged forceful seizure and confiscation of the applicant’s property without the court order. A perpetual injunction restraining the respondents from tampering or taking any action against the applicant or any of his properties in relation to this case. 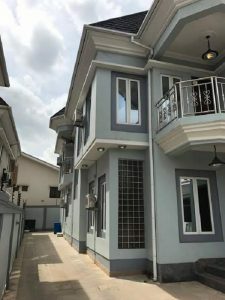 Some of the properties listed in the application include N50 million cash, two residential duplexes, brigade wrist-watch worth 170,000 dollars, a phone worth 30,000 dollars and five pieces of Saphono Rucci Diamond rings worth 100,000 dollars. Others are three Italian travel bags worth 55,000 dollars, 10 Spanish shoes each worth N2.5 million, 20 KVA inverter set worth N10 million, two sets of dinning table worth N8 million. The applicant also wants N4 million as the cost of action against the respondents. The News Agency of Nigeria reports that Evans was arraigned by the police before a Lagos High Court in October 2017 on a 40-count bordering on kidnapping, robbery among other offences. No date has been fixed for the hearing of the suit which was filed on Tuesday about 11.35 a.m.